Following the celebrated Tour de France this summer, some of the world's most recognizable professional cycling teams will travel to American soil and race in the Larry H. Miller Tour of Utah, August 9-14, 2011. Organizers announced today that seven of 15 professional teams have confirmed participation in this year's 7th edition of the six-day, Union Cycliste Internationale (UCI) 2.1-rated stage race. Among the three UCI ProTeam squads who have confirmed participation in Utah at "America's Toughest Stage Race" in August include the No.1 ranked team in the world, HTC-Highroad. Three UCI Professional Continental Teams and one UCI Continental Team have also been confirmed. A total of 15 domestic and international professional cycling teams will compete with eight riders per team. The field of 120 total riders will compete for six days across the mountains, buttes and plateaus of Utah, vying for UCI points, award jerseys and $116,000 in prize money. A final list of professional teams racing at the Tour of Utah will be made in the coming weeks. The Tour of Utah gained special significance this year by gaining an elevated event rating from the international governing body of the sport of cycling (UCI), now one of just three 2.1 or higher world-class stage races in the U.S.
Highlighting the international field this year will be three UCI ProTeams, including the No.1 ranked HTC-Highroad squad. For the past three years, Team HTC-Highroad (USA) has won more races than any other team in the world. In 2010, the team won a combined 11 stages at all three Grand Tours (Giro d'Italia, Tour de France, Vuelta a España). This year, HTC-Highroad already has overall titles at Milan San Remo and Paris-Nice, as well as stage wins by four different riders at Tour of Algarve, Tour of Oman and Tour of Qatar. Notable riders include British sprinter Mark Cavendish, German GC rider Tony Martin and 10-time U.S. national junior champion Tejay van Garderen. It will be their first start at the Tour of Utah. "We're very enthusiastic about the Tour of Utah. It offers an ideal setting for dramatic competition," said Bob Stapleton, founder of High Road Sports and owner of HTC-Highroad. "This premiere event can showcase the beauty and drama of both Utah and cycling in a compelling way." 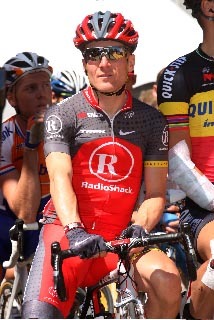 Team RadioShack makes its first appearance at the Tour of Utah in 2011. Last year, Team RadioShack captured 16 individual road titles and eight overall team classifications wins, including Best Overall Team at the Tour de France. The 2011 squad includes Grand Tour leaders Levi Leipheimer (USA), Andres Kloden (GER), and Robbie McEwen (AUS) and three-time USA Cycling NRC (National Racing Calendar) champion Chris Horner. Leipheimer, who won the Tour of Utah last year riding for Mellow Johnny's, is expected to be part of the team to defend his title. "I look forward to defending my title with Team RadioShack this year," said Leipheimer, the 2010 Tour of Utah champion who finished 13th overall in the 2010 Tour de France. "The 2011 Tour of Utah is a must-see race for U.S. fans, where you'll find the best cycling athletes in the world competing across one of the most scenic regions in the world." The BMC Racing Team returns for its third Tour of Utah, but this time as a UCI ProTeam. BMC Racing Team competed previously as a UCI Professional Continental team. Last year the team received wildcard entries to both the Tour de France and Giro d'Italia. The team's roster includes 2009 world road champions Cadel Evans (AUS) and 2008 world road champion Alessandro Ballan (ITA) as well as current Under 23 world time trial and U.S. national time trial champion Taylor Phinney. Last year Phinney won the 2010 Tour of Utah Prologue and Individual Time Trial while racing for Trek LIVESTRONG. Returning to BMC Racing are two riders who raced in the 2010 Tour of Utah - three-time U.S. national road champion George Hincapie, who has participated in 15 Tours de France, and Utah native Jeff Louder, the Tour of Utah General Classification winner in 2008. UnitedHealthcare Pro Cycling Team finished the 2010 season as the No. 2-rated NRC team, with 21 overall race victories, 138 total podium appearances, 9 G.C. victories, and 35 stage and individual wins. Based in California since 2002, this seasoned pro team gained new Pro Continental status for 2011. So far this season the team has had strong showings at a long list of international events - Tour of Langkawi, Stage One of the Vuelta Ciclista a Murcia, Volta ao Algarve and Settimana di Coppi e Bartali. The team features German sprinter Robert Forster, a three-time winner at Giro d'Italia, Italian all-rounder Davide Frattini and Australian team leader Rory Sutherland, who captured two podium finishes at the 2010 Amgen Tour of California. The team is racing at the Tour of Utah for a fourth time. Team Type 1 - sanofi-aventis is a UCI-registered American Professional Continental squad based in Atlanta, Ga. and La Spezia, Italy. The team makes a fourth trip to the Tour of Utah, but this year with a higher designation. The team gained notoriety for winning the Race Across America multiple times before registering for professional status in 2008. Six of the current 21 members have Type 1 Diabetes, so the mission for Team Type 1-sanofi aventis continues to be raising awareness for diabetes. The 2011 squad includes world-class veterans Laszlo Bodrogi, of Hungarian descent now racing for France; Rubens Bertogliati, Swiss national time trial champion; and Russian Alexander Efimkin, who has three Top 10 stage finishes in the 2010 Giro d'Italia. Team Type 1-Sanofi-Aventis has scored 13 Top 10 results so far this season. Team SpiderTech powered by C10 is Canada's first ever professional cycling team to achieve UCI Professional Continental status. Last year, Team SpiderTech was ranked #1 in North America on the UCI America tour, reaching the podium 22 times and achieving 15 victories. Among the 19 team members are several new Canadian riders including Svein Tuft, the silver medalist at the World Cycling Championships; Zach Bell, current World Cup Track Leader and 2010 silver medalist UCI Track World Cup; and Will Routley, the Canadian Road Champion in 2010. This is the first time Team SpiderTech powered by C10 has competed at Tour of Utah. The Trek-LIVESTRONG Development Team returns to Utah in 2011, having finished as the third best team overall last year. The Texas-based squad, which has rising stars all 23 years of age or younger, is managed by team director Axel Merckx, a proven 10-time Tour de France rider. The team is owned by 7-time Tour de France winner Lance Armstrong and wears LIVESTRONG on their jerseys to help spread awareness for the global cancer fight. In 2010 the team won the overall team classification at the International Tour of Ireland and had riders score wins at prestigious events like the World Individual Pursuit Championships, U.S. Under-23 National Road Race Championships, Under-23 World Time Trial Championships and Under-23 Paris Roubaix. The 7th edition of the Larry H. Miller Tour of Utah will consist of an opening prologue and five stages. The Prologue will be hosted by Park City on Tuesday, August 9. Stage races will be hosted the next two days by Ogden and Provo, respectively. On August 12 an individual time trial will be held for the fourth consecutive year at Miller Motorsports Park in Tooele, Utah. This will be followed on Saturday by a circuit race in downtown Salt Lake City and the closing "Queen Stage" on Sunday from Park City to Snowbird Ski and Summer Resort in Little Cottonwood Canyon. The Larry H. Miller Tour of Utah continues to be free to all spectators, making professional cycling one of the most unique pro sports in the world today. Official information will be posted at www.tourofutah.com, with updates on Facebook, Twitter, and YouTube. Deemed "America's Toughest Stage Race," the Larry H. Miller Tour of Utah is a six-day, six-stage, professional bicycle road race along the Rocky Mountain's Wasatch Range. It traditionally covers more than 400 total miles of racing through some of Utah's most beautiful and challenging terrain. Now in its 7th year, the 2011 Tour of Utah is scheduled to take place August 9-14 as a UCI 2.1 sanctioned road race for the best pro cyclists in the world. The event is owned and operated by the Utah Cycling Partnership. The 2011 Tour of Utah will be accompanied by a colorful, rolling festival celebration that will take place at each day's finish line host venue. More information can be found by visiting www.tourofutah.com. The Larry H. Miller Group of Companies began with a single automotive dealership, Larry H. Miller Toyota, in Murray, Utah in 1979. Since that time, the Group has amassed more than 80 businesses and properties in the western United States. Most notable are the Utah Jazz NBA professional basketball franchise, EnergySolutions Arena in Salt Lake City, the Salt Lake Bees Class-AAA professional baseball affiliate of the Los Angeles Angels of Anaheim, state-of-the-art Miller Motorsports Park, Megaplex Theatres across Utah and 40 automobile dealerships representing 23 different automotive brands in seven Western states. Medalist Sports, LLC is an international, full-service, sports management and production company. An industry leader, Medalist Sports specializes in the successful planning, promotion and management of special events, ranging from professional competitions to amateur experiences, to cause-related/fundraising events. Members of the Medalist team are proud to have been involved with and helped manage such events and properties as Tour DuPont, Tour of China, Amgen Tour of California, USA Pro Cycling Challenge, Tour de Georgia, Tour of Missouri, the Lance Armstrong Foundation (Livestrong Challenge), USA Cycling Professional Championships, the Tour of Hope, The Dempsey Challenge presented by Amgen and more. Medalist Sports' headquarters are located south of metro Atlanta at P.O. Box 415, Tyrone, GA 30290. The company website is www.medalistsports.com. Tour of Utah 2011/Peloton Sports., Inc.